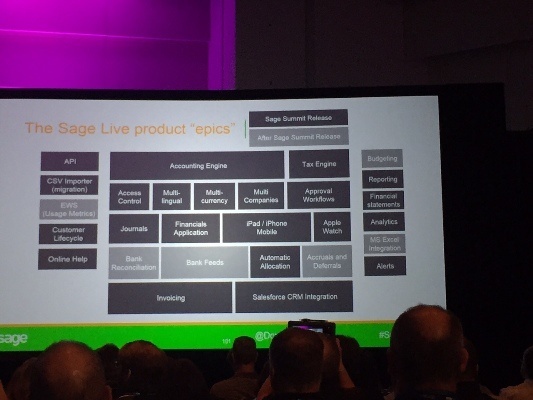 Sage Summit is always a time for exciting announcements, and Sage Summit 2015 has delivered especially exciting news: Sage has announced Sage Live, new technology developed on the Salesforce platform, along with details of features, pricing, etc. We’ve reinvented what it means to run a company by treating it as a collaborative, real-time network with real-time information, rather than a bureaucratic hierarchy full of meetings, circle-back meetings, status reports, check-ins, and more meetings. No matter where you are, run your business on your smartwatch, smartphone, tablet, or computer. Integrated scorecards ensure data from every part of your business is available whenever and wherever you need it. This is anytime, anywhere access at its best. With real-time analytics, you can easily look at your complete business and spot trends in easy-to-read formats—without having to fixate on any individual number. Your employees, suppliers, customers, and accountants collaborate in real time, with social scoreboards letting everyone see, understand, and contribute to your business performance. A shared workspace means that you and your colleagues can collaborate asynchronously. A persistent workspace means that previous notes and decisions aren’t lost, so momentum isn’t either. 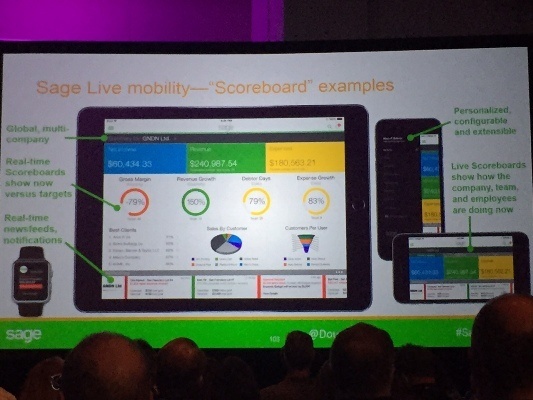 During the presentation at Sage Summit, Sage partners saw how the new technology will be rolled out, how “scoreboard” screens will present information, and what pricing levels will be. You can see these slides below. Sage Live reinvents the way you work by cutting out the delays, uncertainty, and wasted time, says Sage. It’s built on the industry-leading Salesforce platform, augmented by real-time, comparative analysis of your company. 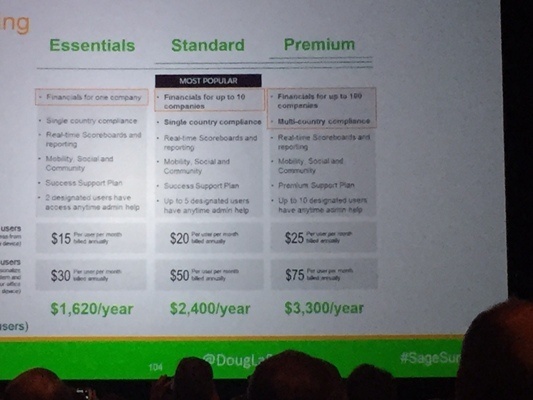 Pricing for Sage Live will start at $15 per user per month for the “Essentials” package. Sage also announced that it will be offering a free trial to QuickBooks users to allow them to see the benefits first hand. Want to discuss how this new technology can help you grow your business? Contact Blytheco today and we’ll have one of our Sage software consultants help you.